American actor best known for playing Grant Ward on TV series Agents of S.H.I.E.L.D. On his twitter he once mentioned he was 6ft 2. It looks a 5-inch difference to me, not 6 inches. His eye level is also 5'8, which puts him around 6'1 or 184cm. So, this is a weird one. Was he dropping posture or something? He was standing good, the camera is high up so it's not doing what it usually does to a smaller person (making them look shorter). With Clark Gregg and other Agents of S.H.I.E.L.D. cast members. Brett is 6'2" throughout the day. Could he be 187 guy rob? IN a video with mark pallegrino he looked atleast 1 inch shorter than pallegrino. Really strange video. I cannot for the life of me see Brett smaller than Mark in person, but I do know that Brett's posture is all over the place with people. 187 is the lowest I'd have thought. Zampo, while it is true that Brett is standing slightly behind Rob, if you take a look at the older comments, you can see that the same Rob said that they're standing within an inch of each other and that he'd need to stand over 4 inches closer to gain any camera advantage (if the camera is below 5'8, as in this case), so I doubt that carries any weight. @Zampo Going by the picture and mugshot lines alone he looks a similar height to me (around 6'0.5-75 at a low). However, taking Robs footwear advantage into account and the fact that Brett may not be standing as tall as he can, I can see him creeping over 6'1 if measured. 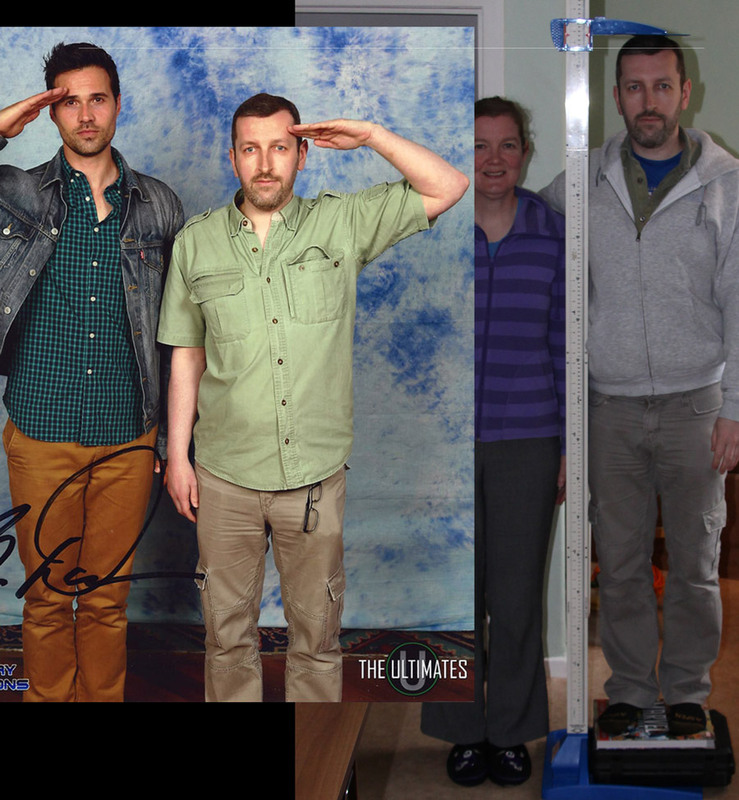 6'2 does seem high but we have to remember Robs seen him in person so there's a chance he could measure close to it. Sometimes what we see in pictures isn't always reflective of how tall someone may look in person. I think if one was to base their estimate on this photo. Taking all into consideration, he is struggling to look over 6'1.25 (186 cm). I would need to see more of him with other people. If He is generally looking near 6'2 then I doubt he is below 187 cm. Junior may be right. A 6'1.5-6'1 5/8 at a low measured person will be looking 6'1 3/4. I reckon a good proportion of 3/4 listings on this site are those who would measure in the 1/2-5/8 range (in fact potentially a majority). Aside from those in the 5'8 range where I think those listings, most likely "fit to the tee". I made that assessment back when I believe my estimations weren't very good. Lol. Reviewing it again, not taking into consideration footwear or the fact Dalton is slightly behind Rob. I would say 184/185 cm (depending on head size) possibly, is how he looks here. Where the 5'8 line comes to Dalton's face would be around 5'7.5 on mine. Yeah 6’2” all the way. And he’s one awesome actor! Brett is also my personal choice for Batman. 6'1 1/2 to 6'1 5/8 (187) will be what he get measured. I don't think 6'1 3/4 anymore. Def not full 6'2". No Way even with the .3" Advantage but He is 6'1 Solid for sure. He looks exactly 5 inches taller. If you have a 0.3 inch advantage then shouldn’t that put him around 6’1.5? I feel like 6’1.75 would be a comfortable downgrade. The 6'0" guesses are silly. I bet if Rob get to measure Brett is still under 6'2 but a few mm over 6'1.75". The average guess seem low for him. Another tricky one. It's a reasonable listing though. Both Rob and Brett are standing well. This is how I look with someone roughly in the 169/170 cm range, which would be about a 5.25 inch difference, as this was taken at 11:00 am in the morning, meaning Rob is about 5'8.25 this would make Dalton about 6'1.5 (186.7), factor in footwear advantage, 187.5. Lest not forget that he will drop a some mm by afternoon. I say he is roughly in the 187 cm zone. However, this is all based on this single photo. Rob, I think I'm getting the hang of this now! Brett looks a bit shorter than he would if he had a bit more footwear and the camera was lower. I can see 6ft 1.75 as a low range for him, but I think if measured he has to be somewhere in 6ft 1.75-2 zone. Why is the average guess 6'1.5 when his head (not even tilted much) isn't even breaking the 6'1 mark with shoes? He typically looks over 6ft 1 flat in Agents of Shield and from what I've said, in person. I think 186-186.5 cm, best guess for this guy. Brett is 187.5cm to be exact if Luke Mitchell is decent 6'1 as rob mention. 187.5cm a round up still 6'2 because i had never see 3cm between Brett and Luke most of time look 2-2.5cm different. Luke lowest could just be flat 185cm. Rob, was this guy taller than Mark Gatiss? Editor Rob: yes, he comfortably cleared 6ft 1 with less footwear. I'd say he measures taller...how much exactly is another matter, it may well not be a full inch but less. I certainly think he is close to 6'2" after much examination! Clearly 6ft in the picture. 6ft1 without the shoewear disadvantage and Rob standing slightly in front. But he has a better posture and legs closed, unlike Rob. He behind the camera and he has less footwear. The shortest 188 cm guy I ever seen. How he could be a 188 if his eye level is 173 cm? He's more like 185 cm..
Whoever says that he looks 6'2 with Rob has no clue about height differences! He may well be or look near enough his claim in person but he looks barely 185 here (not even the full 6'1), accounting for footwear of course. Rob how accurate are the grid lines and how do you go about calibrating them? Editor Rob: as long as the 2 people are say within 1 inch of each other then you can use my own head as the guide since we know it's length. WTF guys? He is CLEARLY 6'2" in this picture, even with Rob's footwear advantage. If he was 6'1" his mouth would be much closer to Rob's eye level. He's taller than 6ft1 guys. Rob, it's been years, but would you argue a strong 6'2" or a weak 6'2" for Dalton. I personally would keep Dalton at 6'2", but not lower than 6'1.75". Editor Rob: 6ft 1.75 isn't an impossibility. I can't see 6ft 1.25-6ft 1.5 though, it seemed too low from what I seen that weekend. He looks 185 max here, even without that footwear disadvantage. Rob, this is probably me, but the more I see this picture, the more I'm convinced Brett is a legit 6'2" person. I would agree with what you said. Like you said, he doesn't have the best posture when taking pictures. Strong 6'1, accounting for footwear difference. Editor Rob: CD, the camera is on a tripod so not being hand-held, it's probably as straight as you cuold get. Another under 6'0.5" listing again.. -__- Let's ignore the fact Rob had the footwear advantage and Brett was behind the camera. His eye level 5'8, which means that it is a maximum of 6'1. Excluding shoes and hair, he most likely will be 6'0.5. I don't understand how people think he looks 6ft here. He looks about 6ft 1-6ft 2 here tbh, and plus Rob has footwear advantage, so he would be pretty close to 6ft 2, maybe 6ft 1.75 is a better listing, but he is NOT 184. That's such bullcrap and retarded to say he looks under 6ft 1 here. i really can't see how he could 6"2, he look about 6"1 there if you take into consideration footwear difference and the camera angle. And those who say he look taller on tv, keep in mind theres a lot of factors that can influence it. Rob, which is more likely, Dalton measuring a little under 6ft2 or Luke Mitchell measuring a little over 6ft1? They look rather close on Agents of S.H.I.E.L.D., maybe Brett just nipping Luke slightly but never by a full inch. Editor Rob: all I can say in person Dalton gave a slightly taller look than Mitchell, but the footwear difference (or swing) is at least 0.8 inch range. The 185 cm claims are ridiculous. Most probably the biggest mistake on this site. This guy is 185 cm. In this pic he looks 187 cm with shoes. I think roughly 6'2" is good for Dalton. Despite less footwear, he has an edge on Luke Mitchell who is a solid 6'1". 6'1.75" is the worst I give Dalton. 6'2" is fine for him. I'm serious, if I find another comment that says '511" for Dalton,' I'm going to laugh so hard that I might likely run out of oxygen. Rob, could a fraction under this possibly be closer? Editor Rob: at worst 6ft 1.75, wouldn't go lower than that range. Not to mention Dalton doesn't always have the best posture, so try meeting someone who looks 6'2" or more and know that a lot of photos can be deceiving. Okay, the 6'1" claims are just insane. Even if anyone didn't meet him, Dalton clearly has an inch over Mitchell, a solid 6'1" person. The chart isn't always right because sometimes the person standing is slightly away from the camera or the image is distorted. I'm going to buy Dalton at 6'2" since he had a footwear disadvantage here and he still has an edge on Luke Mitchell. @S.J.H then we should downgrade Luke Mitchell to 5'11" if you want to play it that way. 5'11" is way too low no matter how you look at it. The crown of Rob's head reaches just below Dalton's eyes, and since the average length from the eyeline to the crown of the head is roughly 4.5", he'a already 6'1" there. Take away Rob's 1/3" of footwear, and he's about 6'1 1/3"
NX If that's the case then we should downgrade Luke Mitchell to 5'10" then. Take away the hair and footwear and hes 5'11 max. There is definitely no more than 3 inches between him and rob. Dalton's obviously not quite the full 6'2". He must be at least a strong 6'1" though. The fact that Brett had a footwear disadvantage means that he would be taller than in the picture. Also, Dalton edges out Luke Mitchell who is a legit 6'1". Strong 6'1 judging from the pic and footwear disadvantage. If you remove his hairline, i would say he is 6'0"
The footwear disadvantages is the reason why Brett looks that tall. Also, meeting him in person would actually be a lot better because you would get the sense of how tall a person is. Dalton is an inch taller than Luke Mitchell. I wouldn't argue less than 187cm because he's at a disadvantage in footwear. I see a strong 6ft1 in the photo. His hair just grazes the 6'1" mark in that photo. If you had 1/3in more footwear, or even 1/2in more footwear, he'd still struggle with 6'2". I'd give him 6'1.5" but even I think that's generous as well. looks 6'1 range in photo, Rob are you closer to the camera? appears so to me. If not i think it's pretty clear this is not a 6ft 2 man. Editor Rob: I'd have said within an inch. Ideally I should actually stand between 2-4 inches nearer than a taller man because the high point of the smaller man's head is further from the camera than the forehead/nose/bridge of the taller man. If I moved closer by about 3-4 inches the top of my head would be roughly the same distance to the camera as his nose/bridge area and neither of us would gain any sort of advantage. I'd need to be over 4 inches in front of a guy like that to start gaining any camera advantage against a taller guy (if the camera is under 5ft 8). Editor Rob: he is taller than that, but yeah I can understand how he might not look an inch taller. He barely looks taller than 6'0 with the height chart,maybe 184cm and 185 if you add his hair...As i said before,he's 185cm at most. Editor Rob: I would be surprised if he was as short as 6ft 1. As I seid, this guy looks not over 184 cm. WTF ?? 189-190 out of bed?? Is he a Elastic Man or something?? Despite the fact he is a Inhuman in the TV series , its quite impossible a man arround 6ft 2.5 -3 (190cm) in the morning shrinks into a flat 6ft1 ,just like its shown in the picture above .Just look at the F*%CKING height chart added!!!!! In fact, im also 184.5cm night and arround 186.5 cm right after awakening, which i believe its arround Brett´s range. I doubt he's under 187cm. Ahahaha, Alex, what's your problem with shoes? Rob is a strong 5'8 BAREFOOT, this guy looks 184 at most, add 1/3 inch for shoe difference and he does look 185ish, IN THIS PHOTO! The same Rob said that a couple of cms were probably lost in the picture, though! So 187ish (6'1.5-6'1.75 zone) is probably what he would measure! Looks nearly 184cm with perfect posture next to Rob,with a bit less footwear.MAX 6'1 for this guy,Rob definitely overestimated him.I'd say he's 1 inch overlisted here,if not 3cm. If he was a 190 with shoes on, there would be 16-15 cm of difference between Rob and Dalton, that's a lot...I don't see all this difference in the pic. You're really too optimistic about this guy Rob. Next to him you should be around 177-178 cm, in that case, he would be 189-190 cm, and so, 187-188 cm barefoot, without doubt. He seems 187 cm just with shoes, at most, so I really can't imagine how he could be a real 187 cm without footwear. It's just impossible. Rob, is 6'1.75 good for him? Editor Rob: it is arguable yes. Rob, have you counted this guy with shoes on? Actually he can be a 187 with shoes, but he must be 184 barefoot. Otherwise in this pic he is around 189-190 cm, and would be short next to you, also if you was 175 cm in that pic. Editor Rob: in any of those comparison photos, it is just as if we didn't have shoes...of course you should add a third of an inch onto brett because he had less footwear. Which really would make him 187.5cm since he has less shoe. Editor Rob: he might not look as tall in this photo, but in person he looked taller than 6ft 1.
ummm... on that height chart he is at least an inch under 6-2. Editor Rob: depends on how much hair he has, that can be harder to tell at times. 185cm is too low and 183cm is just a joke. Anywhere from 186-188cm is an arguable range. Editor Rob: I think his eyelevel is probably nearer 5 inches than 4.5 range. Come on is this how a 6'2'' is really suppose to look next to a 5'8'' guy?? I do think he is taller than he looks though. Rob, What time of day this photo was taken ?? He does look a strong 6'1. Editor Rob: that was about 11-11.15am. I think he gives a similar impression to Luke Mitchell but has less footwear. Brett at a weak 6ft2 and Luke at a strong 6ft1 is possible. They also look close on Agents of S.H.I.E.L.D. Rob, is a similar sort of height to Clive Owen possible? Taking into account what you said and having a look at him in other pics I've have gone with 6'1.75. In that 187 range, guessing that he might dip a little under the 6'2". In the photo he does look more 6'1 but then it's a photo and as Andrea says big Colin could look and inch inch and half shorter in his photo than reality. Editor Rob: you could make an argument for a fraction under 6ft 2 of course, but I wouldn't go much lower as the bottom of a range. "Brett Dalton's Height is 6ft 1¾in (187.325cm)"
Either he's 6'1.5 or 6'1.75. But 6'2 is pretty close and maybe a good estimate as well. Looks about 6'1" here. Maybe he'd measure closer to 6'2" than 1", but he very well could be somewhere between the two marks. Yeah, Tyson is one of the very few cases where he can look a bit taller than his listing... But generally they all look shorter than their listing if you try to be as objective as possible! I am not going to lie . He looks about 6'0.75 here or so , with less footwear I'd give him 6'1.25 , If he's 6'2 than it's a rare pic where this isn't the true telling of hi height lol. No way is that 6'2". That's not even 6'1". "nobody is infallible, they can over or under-estimate, although I do try my best not to get an honest estimate." I don't quite follow. Can you help me Rob? For Dalton I think 6'2 is definitely closer than 6'1. Editor Rob: I'm just saying that I don't think he looks over 6ft 1 in this photo, but in person I thought was comfortably over 6ft 1 up close and didn't think I over-estimated him. But you, you are infallible! ;) I'd be surprised if you overestimated someone you met in person by a big inch! What i'm saying is that, if you see random photos on this site, they will NEVER look taller than their listing and not rarely noticeably shorter than their listing! Editor Rob: there will be some, I think Tyson looks over 5ft 10 flat, but I don't think he actually is. This is definitely not 6'2. He's standing completely straight and he's at best 6'1. Why not just go with the fact that your estimation was off by 1 inch, instead of going against blatant photographic proof? Well, in Colin Salmon's case, i can certainly believe he's near 6'4, even if the photo doesn't show it, because i've seen him in a few photos and scenes and he does look it! Editor Rob: you or anybody else can perfectly believe nearer 6ft 1 than 2 if he looks that to you...nobody is infallible, they can over or under-estimate, although I do try my best not to get an honest estimate. But I would have guessed nearer 6ft 2 than 1. Surprisingly he doesn't look 6'2" at all, comparing this picture with the one you have with Alberto Del Rio, Rob. He looks 185 cm. Perhaps you could add the height scale like you do in some other photos? Looks close but not quite 74 inches listing. What do you actually mean with that photo, Rob? He does look 184 at most, like i said... Plus 1/3 inch, 185ish! Do you mean that one inch went away with the photo? If that's the case, i can believe he's not much under 6'2! Did he look a good inch taller than the 184 challenger, without looking at his footwear? Editor Rob: I'm saying I expected him to look like his eyes were an inch above my hair, which is normally how a guy 187 range would look, but it didn't turn out like that. Either I guessed him too high or a couple cm was lost in the photo...I really don't think I guessed him too high! He looks 183-184 here, add "about" a cm for shoe difference and he's more 184-185 than anywhere near 6'2! Luke looks a good inch taller but again he has nearly an inch less than Brett, so they probably wouldn't be much different but still Luke looks a more solid 6'1 than this guy! Unless the photographer was the same of Colin Salmon and managed to take away an inch from the photo, there's noway this guy is even close to 6'2!!! Something must not be telling by this picture because no way do i see 6'2. Editor Rob: The photographers camera is on a tripod and about 5ft 7 high. I fully expected Brett to look as tall as that! But in person Brett looked no shorter than Luke, before considering the swing in footwear was like 0.8 inch range. that's my dream height right there, 6'2" is the perfect male height in my honest opinion. Yes, a legit 6ft 2 in SHIELD tv series. Great Photo. 6ft 1.5 appears to be nearer the mark, he pretty much looks 5 inches taller than Rob and plus has a bit less footwear. His claim of 6ft 2 isn't a terrible one. I reconfirm what i said on Luke's page... He looks nowhere near 6'2! Unless something "strange" is going on in this picture, he doesn't look over 6'1!!! I mean, you can even make an argument for 184 range here! One of the shortest "6'2" guys ever! Another perfect person! Scunner! What do these folk eat, growing up? @ Rampage(-_-_-)Clover - I dunno about the suit, I think it makes him look a bit thin, which he doesn't on the show. And Chino-style turned up hems are unusual. Still, it no doubt costs a few bob! In Agents of SHIELD he looks like 6'3. On his March 24th 2014 appearance on Craig Ferguson Brett seemed even a little shorter than Craig. Maybe it's a footwear issue, but certainly not posture; Craig is slouching, Brett isn't. He comes in at 25:58 https://www.youtube.com/watch?v=MkJTSHPUtwI Maybe Brett is 185-186? Or Craig is taller than the 187 he's listed as? Craig does seem to have bigger heels though.